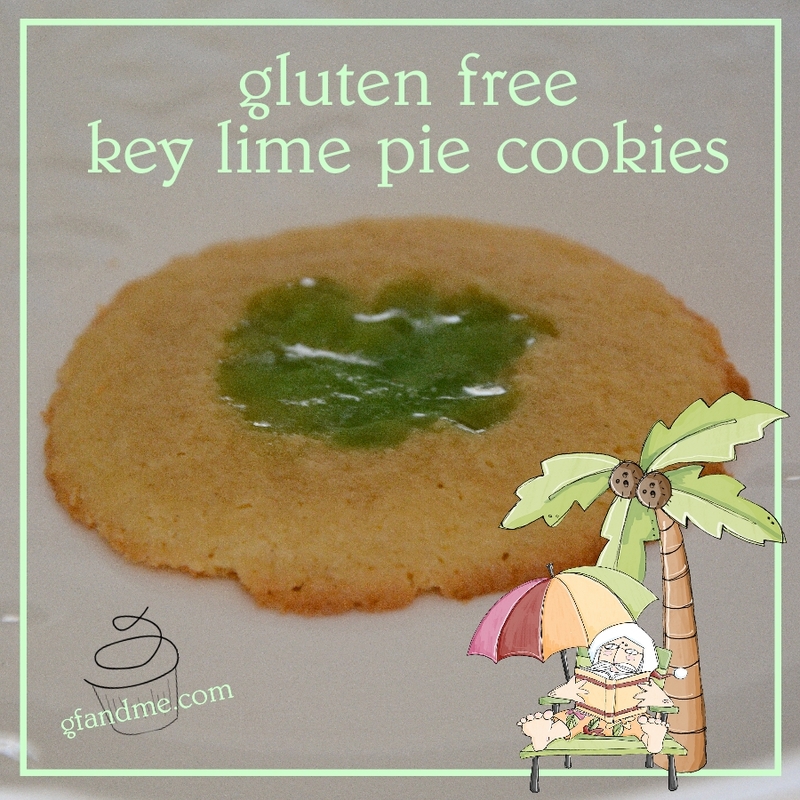 key lime pie cookies – and they’re gluten free! In large bowl, cream together butter and sugar. Add egg yolk. In small bowl, fully combine the gluten free flour and xanthan gum. Add gradually to the butter mixture. Mix until well combined. TIP: This is where power tools come in handy! An electric mixer will whip this up in a breeze – otherwise prepare to have stronger arms tomorrow! In a small bowl or plastic bag, crush the lifesavers into medium sized pieces. TIP: Be careful! These things shatter more than break. Scoop the dough by the tablespoon – or two if you like your cookies gfandme-sized. Roll each into a ball, place on cookie sheet and press flat with a cookie press or with the bottom of a plate or a glass. Puddle some of the crushed lifesavers onto the middle of each cookie. Bake for 8 – 9 minutes or until the edges of each sweet little round turn golden brown. This entry was posted in Baking, Recipes and tagged bob's redmill, cookies, gluten free, holidays. Bookmark the permalink.